SEAKEEPER Dealer, Sales and Installation. At Pier 53 Marine we strive to provide our customers with a hassle-free environment with our convenient one-stop shop. Our main goal is building a lasting relationship with our customers and anyone who visits Pier 53 Marine. Whether you are in the market for a new Monterey, Cobia, Skeeter, Blackfin or want to browse our listings of pre-owned boats or brokerage boats, our knowledgeable sales staff is here to assist you. 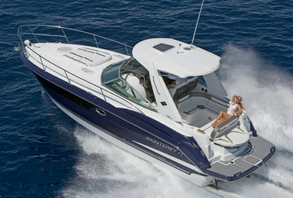 Our inventory includes center consoles, cruisers, bowriders, dual consoles, bass boats, walleye boats, sport fishing boats and sport coupe. Pier 53 Marine provides professional sales, service and installation of SEAKEEPER products that have an amazing effect on boat roll! Conveniently located near the Cleveland, Detroit, Columbus, and Toledo areas, Pier 53 Marine has two full-service centers in Sandusky and Catawba Island. Our marina and showroom are located on Catawba Island, located in the West Harbor Basin on Lake Erie. We are a certified Volvo, Yamaha, Mercury, and MerCruiser dealer. On the electronics side, we provide professional sales and service and are certified for Raymarine, Garmin, Lowrance, and Simrad. A pleasant 25-minute boat ride from Put-In-Bay and Kelleys Island our Catawba Island marina will make a perfect home for your boat during the summer. We have 99 slips available up to 50’ in length. We offer boat storage in all forms for winter or summer. Heated and cold inside storage, outdoor storage with shrink-wrap services available and rack storage service for boats under 25’. Contact Pier 53 Marine today! See you on the water!